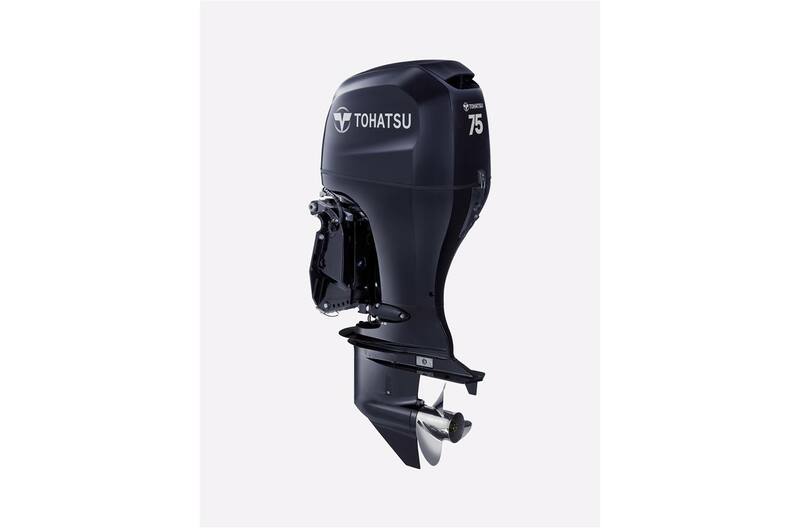 Tohatsu's 75 hp Four Stroke is one of the lightest outboards in its class, weighing in at just 359 pounds. This in-line 4 cylinder is equipped with SOHC, or single overhead cam, to deliver excellent torque and power. The BFT 75hp also features a Optimized Fuel Injection system that delivers the precise amount of fuel/air to each cylinder. The result is an easy start and instant throttle response with superior fuel efficiency. Our 75 hp engine comes with a high output 44 amp alternator that produces nearly twice as many charging amps as some competitors. The 75 hp four stroke is a great choice because it is our most advanced technology in a mid-range engine.